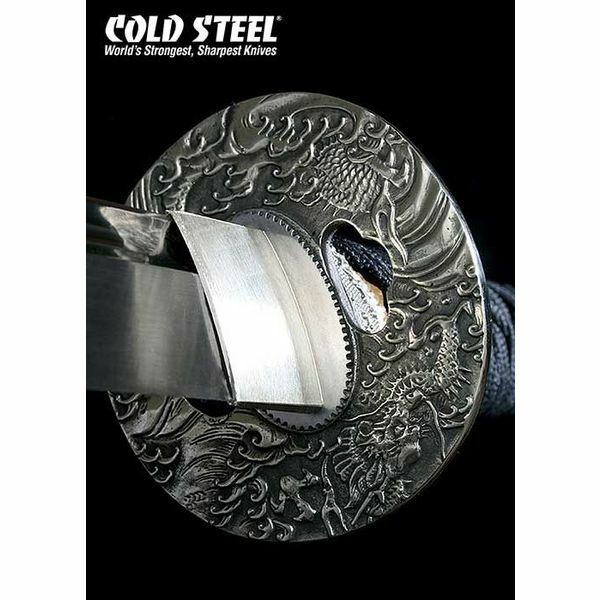 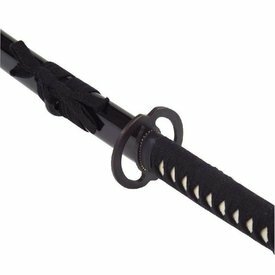 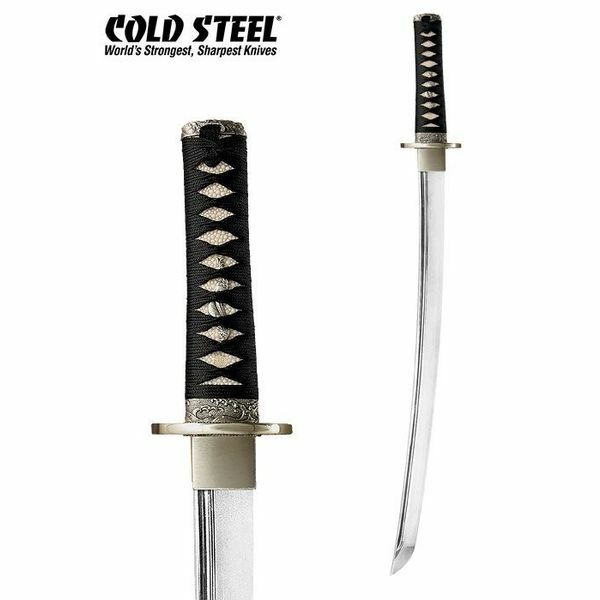 Cold Steel has only used traditional materials for the grips of the Japanese swords in the Emperor series. 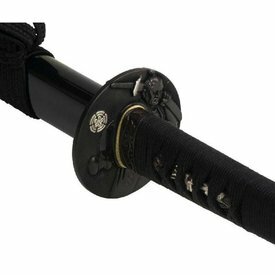 The Tsuba, Fuchi and Kashira are all handmade. 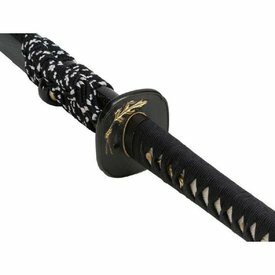 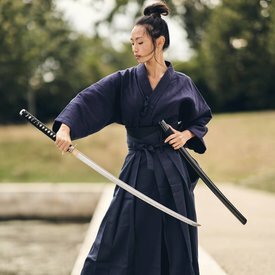 This unique and traditional tanto has a grip covered with Samé (shagreen) which is wrapped round with traditionally made black silk. 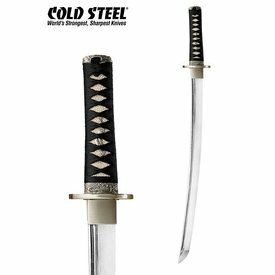 The razor sharp blade is made of 1055 carbon steel. 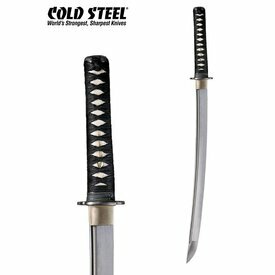 It is 70 cm long with a blade of 53,5 cm and it weighs 526 grams.